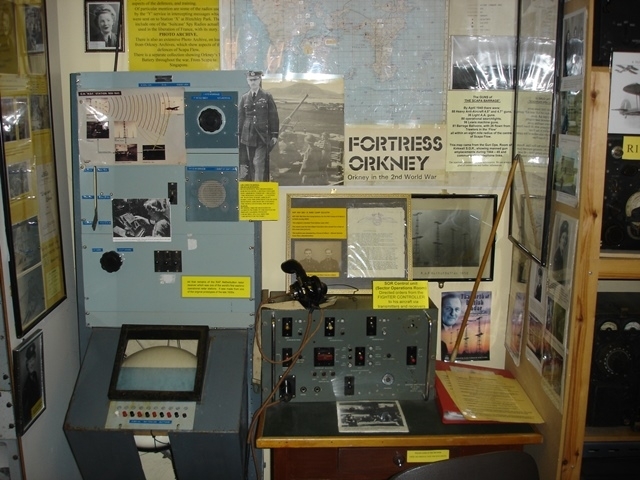 Orkney’s wartime history is strongly represented in a museum collection that spans the development of wireless in Orkney from the beginning of the 20th century to the present day. 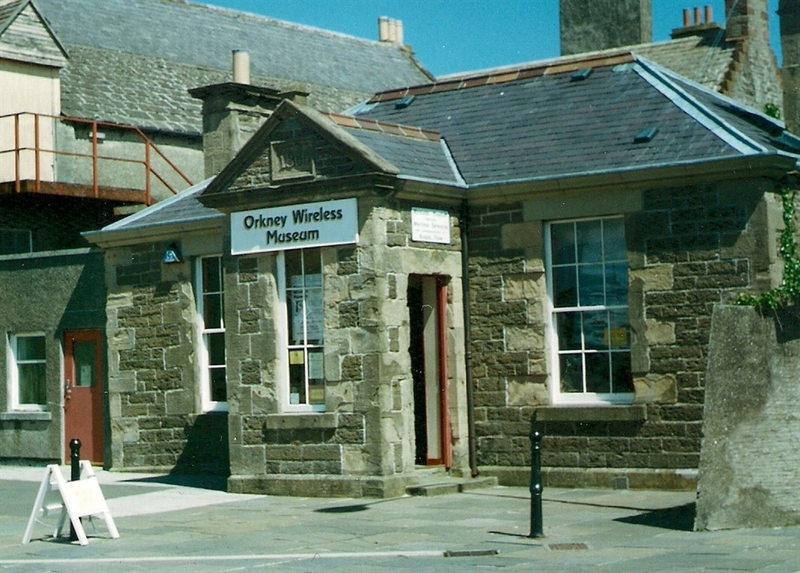 Orkney Wireless Museum was founded in April 1983 by the late Jim MacDonald after a lifetime passion in working with and collecting all things electrical. Named thus because it is essentially a local collection, and attempt to capture the evolution and swift passing of an intriguing era. It is a fascinating collection showing how radio grew into a major industry and helped defend the Home Fleet at Scapa Flow. 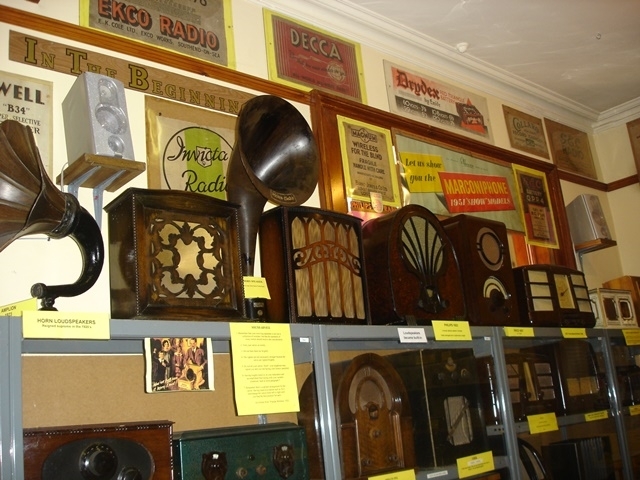 Wireless from the earliest days, through the Second World War right up to today’s transistorised marvels. 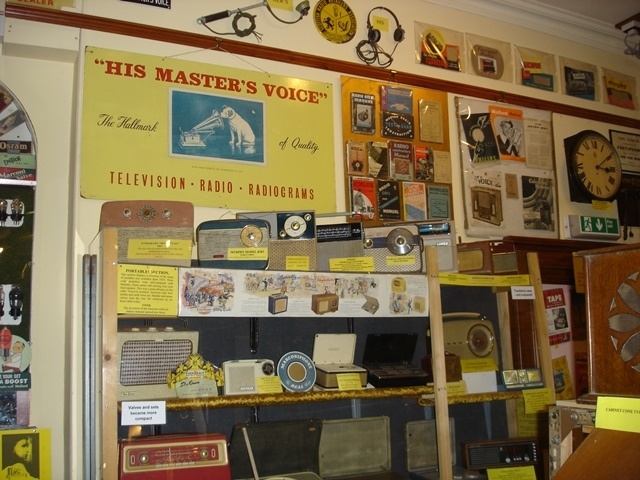 Everything from crystal sets to a spy suitcase radio. Original WW2 maps and charts of Scapa Flow, with Allied and German radios. Photo archive of Wartime Orkney defences, and mementoes of the Italian Prisoners of War who helped build the Churchill Barriers. Children visiting the Museum like to play the ‘Tennis’ game on the early computer or test their steady hand on the wire game which ‘bleeps’ when touched. Others try their hand at playing a tune on the vintage ‘Stylophone’. Working sets are available to listen to, including a one hundred year old crystal set. The Museum issues a certificate for those who type their name on the morse key. (Adults are especially keen on this!) Another display is dedicated to novelty radios which take the various shapes of tomato Sauce bottles, Breakfast Cerials, Cameras, Computers and even an Apple! 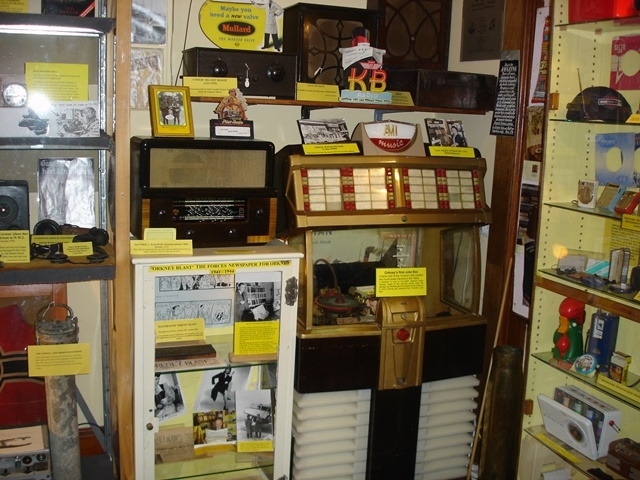 Orkney’s first Juke Box from 1952 stands nearby. 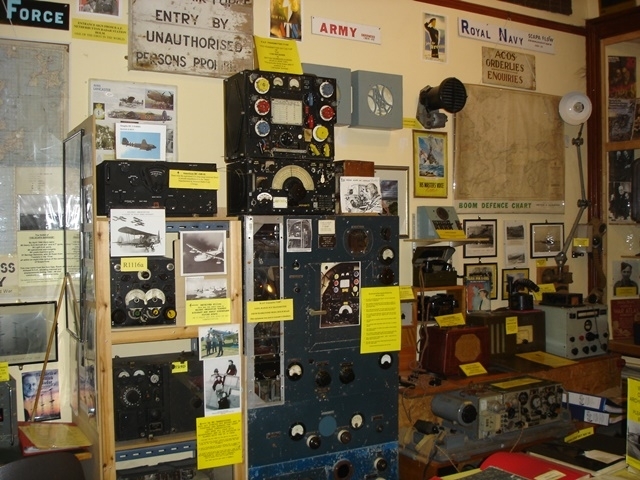 The Museum is a listed charity and entirely run by local volunteers who are known for their friendly-ness and local knowledge.